whats going on here, aaaaaachhhewwwwwwwwwwww anyone got a tissue..oh ok I will cuff it, snow white will not be pleased seeing all snobs on my sleeve..
A witch, I better go and find dopey and warn him, his a bit thick you know..
Use your tissue Sneezy , I'm just getting over a cold lol ..
Nipped down to morrisons and got some dont want snow white shouting at me again, when she does it makes me sneeze and pee at the same time..
:11: Now in my innocence I am wondering what Sneezy bought at Morrisons.. maybe if was Beechams Hot lemons to stop her sneezing? PS.. oh I see now and there was me thinking it was something else! Matty , what wicked thoughts you have !!! Now wonder what this chopper is that I keep hearing about..is it one of these..
Didnt you know he has X Ray eyes Bobtail ??? 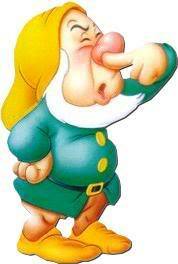 Bobtail wrote: Nipped down to morrisons and got some dont want snow white shouting at me again, when she does it makes me sneeze and pee at the same time..